If you have lost some or all your teeth, a tooth replacement is a must and a denture will be an excellent choice for you. Patients who do not address missing teeth may notice teeth shifting/moving, sagging facial appearance and a decrease in chewing/biting function. Dr. Passamano will help you to decide what is the best way to give you a great smile. Most full dentures are made of acrylic and can be made in two different ways. 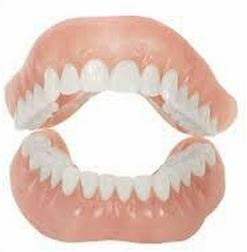 A conventional denture is made after the gums have healed from extractions. The other option is called immediate dentures. This is when the dentures are fabricated before all the teeth are extracted and dentures is delivered immediately after all the teeth have been extracted. Over time dentures need to be relined to ensure a proper fit. Regular denture checks are recommended to evaluate the tissue for abnormalities. 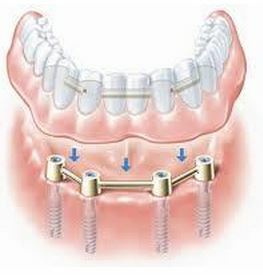 Removable partial dentures are stronger and a more stable appliance compared to flippers. 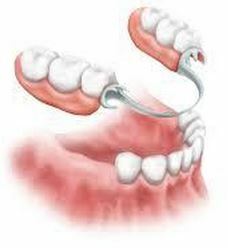 Removable Partial Dentures (RPD) can be made of metal or fiber plastic. Taking care of your denture is an important aspect to good oral hygiene. Clean your denture thoroughly once a day and brush your natural teeth twice a day. Never use alcohol, abrasive cleaners, bleaches, whiteners or boiling water to clean your dentures. Dr. Passamano recommends removing your dentures from mouth while sleeping to let the gums rest.